Steph and I (Meg) worked on THE.MOST.INCREDIBLY.FUN project this afternoon at The Cleveland Flea's holiday pop-up market in n an attempt to do your hardest holiday shopping for you. We grabbed four empty boxes, created themes for each, and shopped our little hearts out in an attempt to make the most perfect, locally sourced, hand-made & vintage gift boxes you've ever laid eyes on. You can pick and choose your favorite items or snag everything on the list! This box is for the girl power loving lady in your life who's ready to kick off 2018 with a bang! She's your girlfriend, wife, best friend, favorite co-worker, sister or SIL. She may even be your boss! Whoever she is, she's one badass babe who you admire and love and you want her to know it. 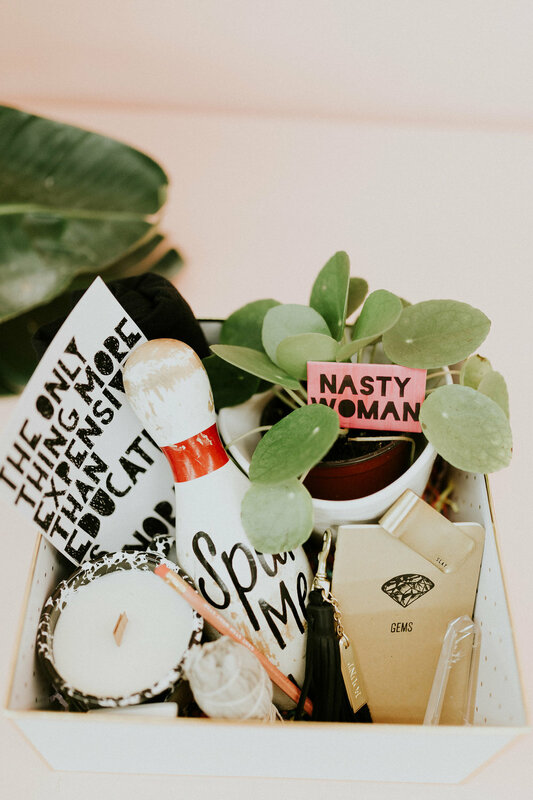 We filled this box full of her "New Year/New You" feminist must haves. This box is my personal favorite as it covers every base. It's for the people in your life who you want to buy a gift for but whose tastes you're not that familiar with yet. It could be your mother in law, your neighbor, a newer friend, or an aquaintance who invited you over for a holiday party. Maybe it's your kids' teacher or the perfect thing to take to a secret Santa swap. Regardless of who it is, they are going to love the stuff we picked! 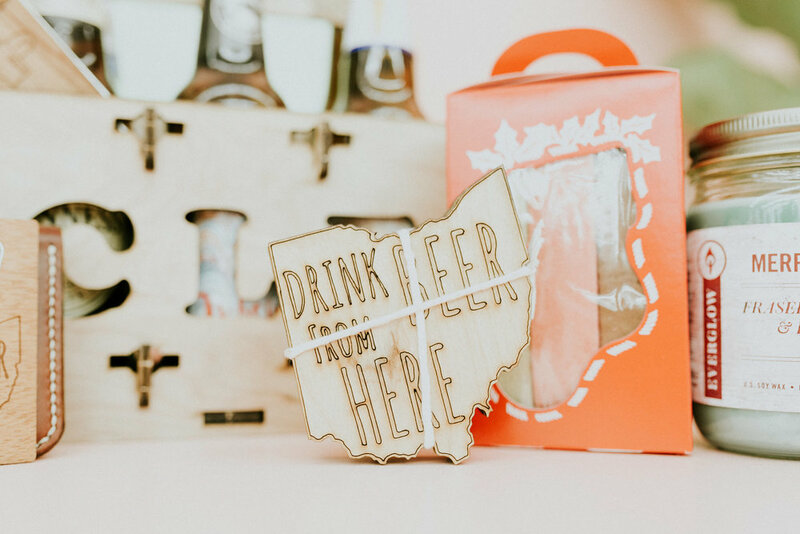 For Cleveland lovers both near and far, this box is for YOU! If you're anything like me, then you may find yourself in love with someone who is IMPOSSIBLE to buy for. Either they already have "everything" or their tastes are ultra specific. Either way - you break out into a cold sweat when birthdays, anniversaries and holidays roll around because you want to get the perfect gift without spending your entire rent check, but you don't know where to begin! Don't worry. We've done the legwork for you.